The Faculty of Veterinary Science is unique in South Africa. It is the only institution responsible for training veterinarians and veterinary nurses. Our graduates and research programmes are vital in enhancing human and animal health, promoting biosecurity and welfare, and ensuring our production animals, wildlife and pets are safe and in good health. The quality and scope of the Faculty’s training is such that our graduates are able to enter postgraduate programmes at universities across the world and can practice in many countries without the need to first write registration exams. The Faculty is locally relevant and passionate about meeting the needs of South Africa. This not only applies to commercial farming but also to primary animal healthcare, where veterinarians as well as veterinary nurses can assist rural communities and smallholder farmers. 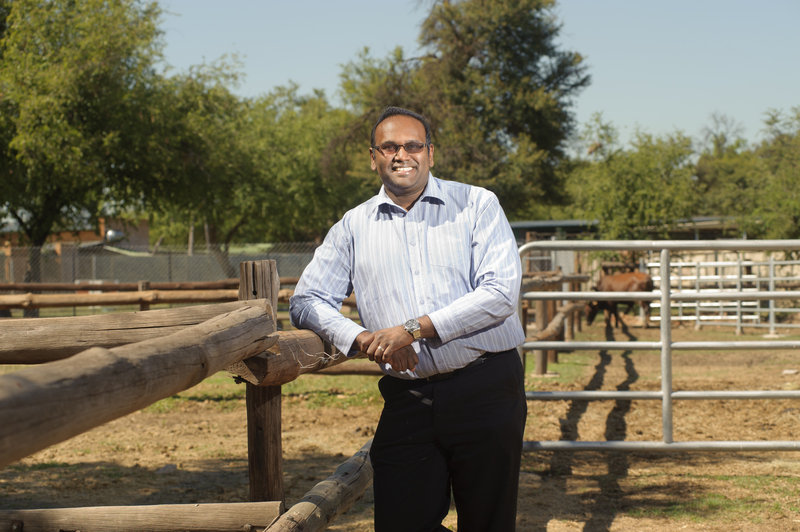 Similarly, it is essential for the future of the veterinary profession in South Africa that black learners, particularly from rural areas, consider the two undergraduate programmes in the Faculty of Veterinary Science. A veterinary career is wide-ranging, involving wildlife or exotic animals, farm animals and pets and encompassing careers in private practice, research, government or industry. Through controlling animal diseases and promoting livestock production, veterinarians contribute to increasing the profitability of commercial and small scale farming enterprises, thereby enhancing food security and economic development of livestock owners. The Faculty’s campus compares favourably with the best in the world. Apart from its state-of-the-art facilities, it has five academic departments, several research centres (for horses, wildlife and crocodiles) and a Skills Laboratory, where students are taught by means of models and simulation. Its Veterinary Academic Hospital is the focus of the Faculty’s clinical service, rendering top quality specialist as well as first opinion veterinary services to the community. Here we promote an excellent study environment and enhance the academic experience of students. However, life on campus is not only about studying and we know how to have fun through a wide variety of social and sports activities on and off campus. It is a vibrant place where you will be empowered to start an exciting career as a well-balanced professional person. At the Faculty we are committed to making a difference and changing our world – one student at a time – and through them to better our country and the world. We look forward to welcoming you as a new student to our Campus.